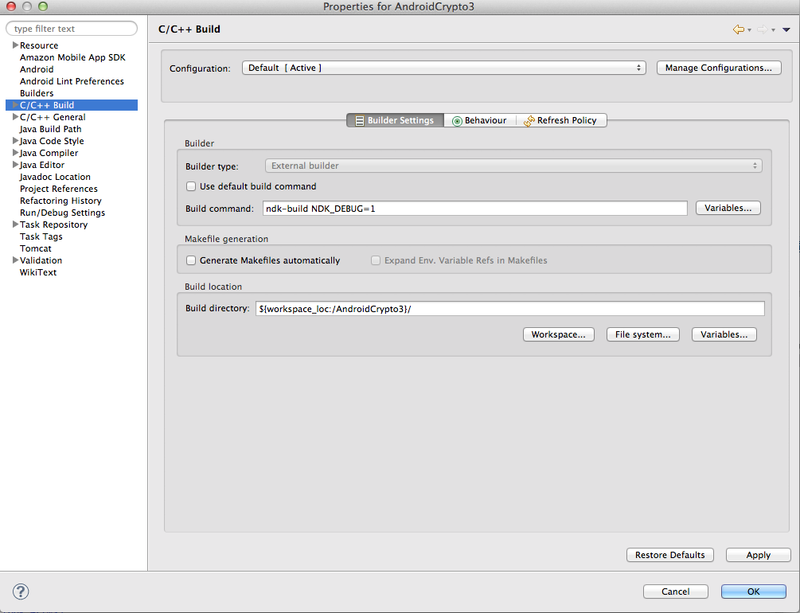 We sometimes want to debug Native code(C/C++) in Android. 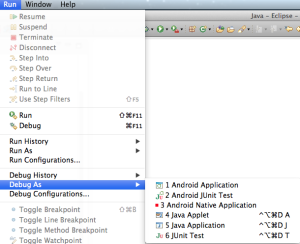 Over Android ADT r20, we can debug native code easily by eclipse. 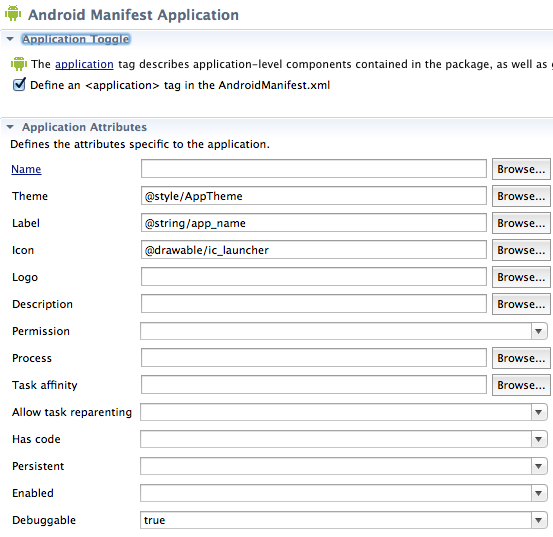 No command line, No additional code, No Complicated setting. 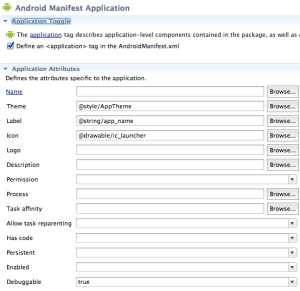 To enable debug, please enable debuggable in AndroidManifest.xml. This is the last point of this topic. In this image, 3rd one. 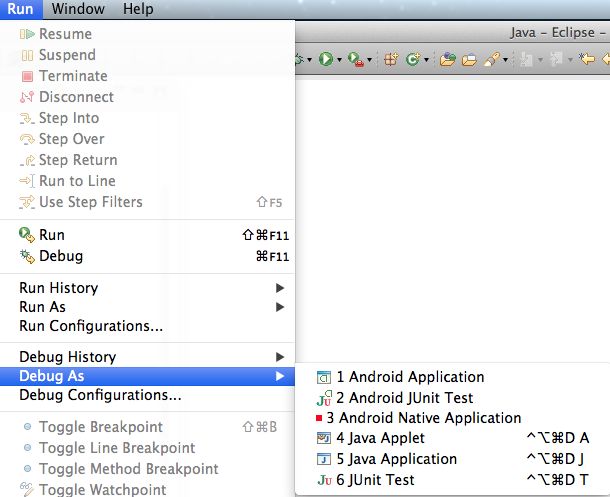 After that, you can set break point in Native Code! Enjoy! If you want to debug built library, which is share library(.so) compiled outside of Android Project(with toolchain or something). You need to locate source codes under your machine. That is just same as general Java Source code Attachment to debug Java code! If you want to debug shared library which is made by other project. 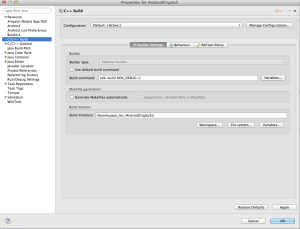 That is copy shared library(.so) in project.